Little Elliot and I just got back from an AMAZING two week tour. 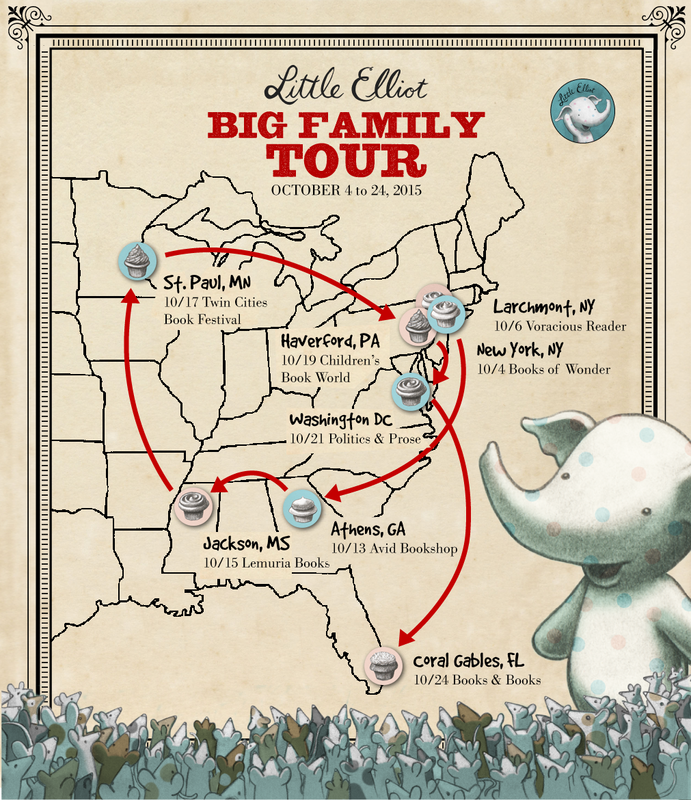 We traveled to six states plus D.C. to share our new book, Little Elliot, Big Family! Folks in our big Macmillan family did a great job connecting Elliot and me with welcoming schools and stores. Though the trip was wonderful for many reasons, there’s one highlight that I have to share. Early on the tour, a little girl came up to me after the reading and proudly announced, “I’m adopted!” Her big smile informed me that she connected with the book. Elliot’s story was her story. I was touched. But. It didn’t stop there! I met many other adopted kids, families with adoptees, and one librarian who has a recently adopted student who keeps checking out the book. 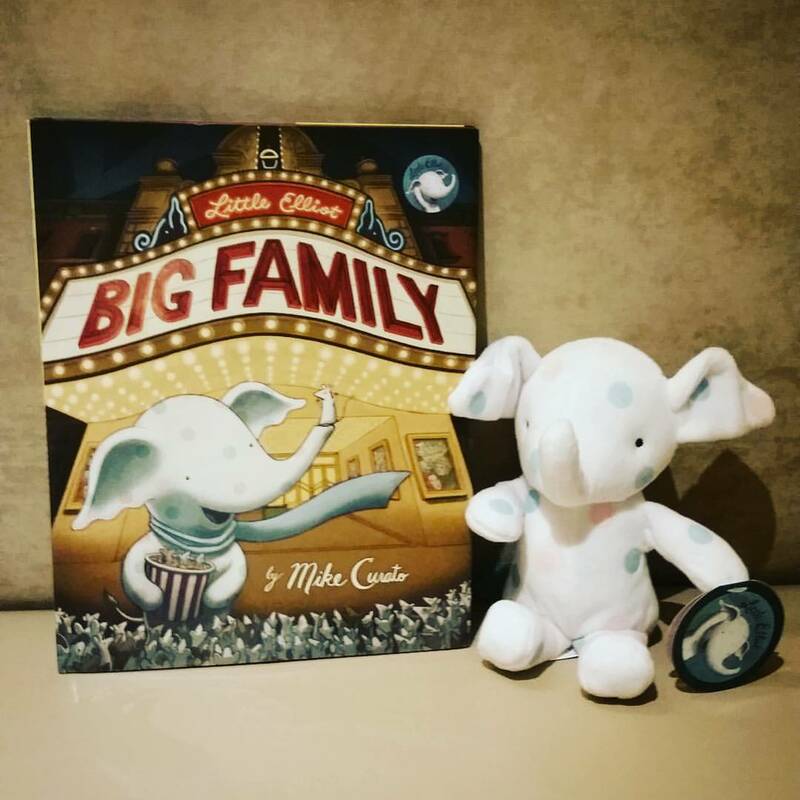 While I was writing Big Family, it occurred to me that this story is all about inclusion. I am so grateful for these folks sharing their inclusion stories with me. My heart has been very full because of it. Welcome to Little Elliot’s Family! I’ve been blessed with a very big family, and now I get to share it with the world. 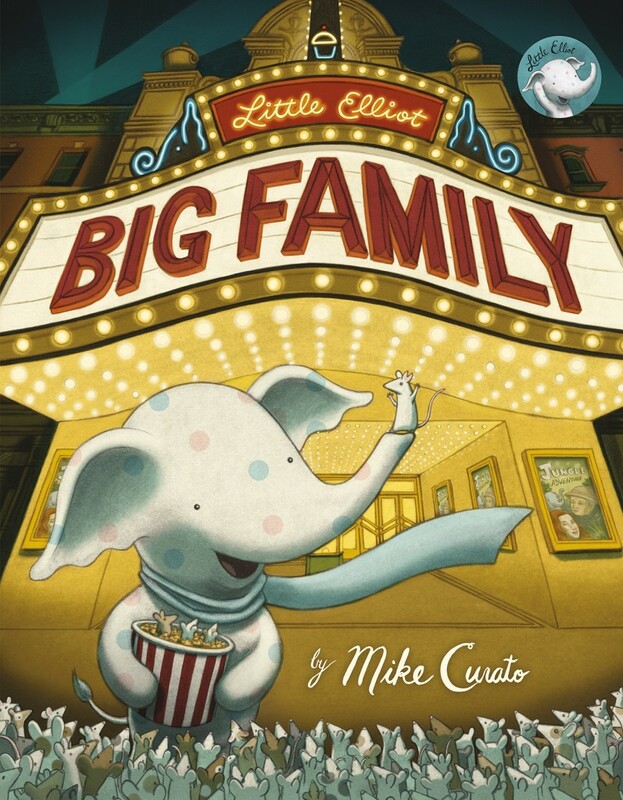 Today is the release of Little Elliot, Big Family, the second book in my Little Elliot series with Henry Holt Books for Young Readers (Macmillan). What is family? Sometimes it’s the people you’re born to, and sometimes it’s the people you choose to be with. Throughout my life, I’ve been reminded that family takes on many forms. I think it’s a beautiful word, and the more flexibility I allow in its definition, the more love fills my life. Little Elliot, Big Window, Take THREE! 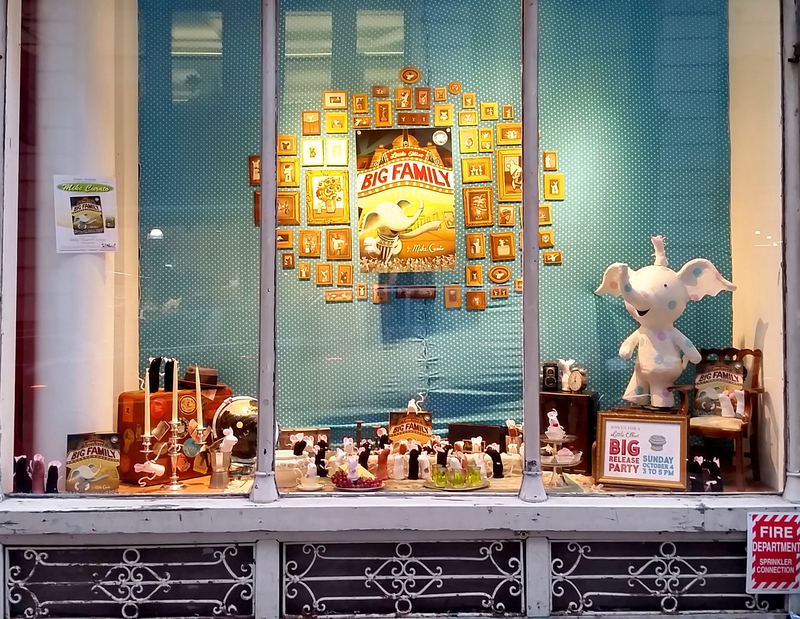 I am very blessed to have a big family of crafty folks here in NYC. 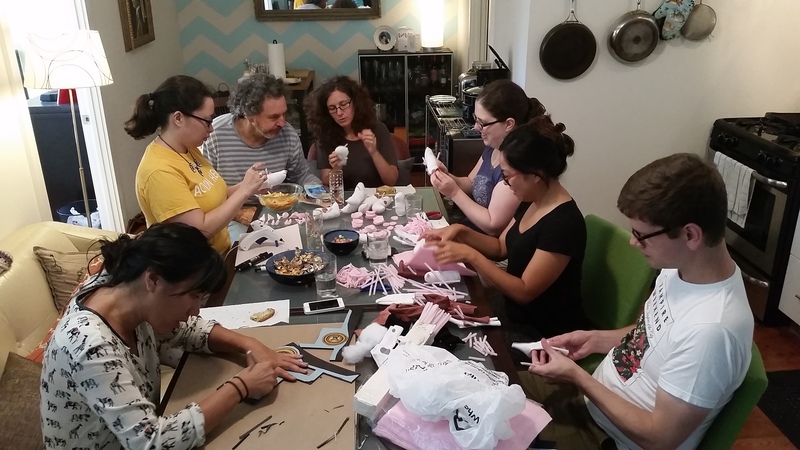 In this pic you can see Katrina, Les, Sigal, Emilie, Isabel, and Dan making mice out of socks and pipe cleaners, while Ruth is patiently trimming mounted print outs of mouse portraits from the book’s endpapers.